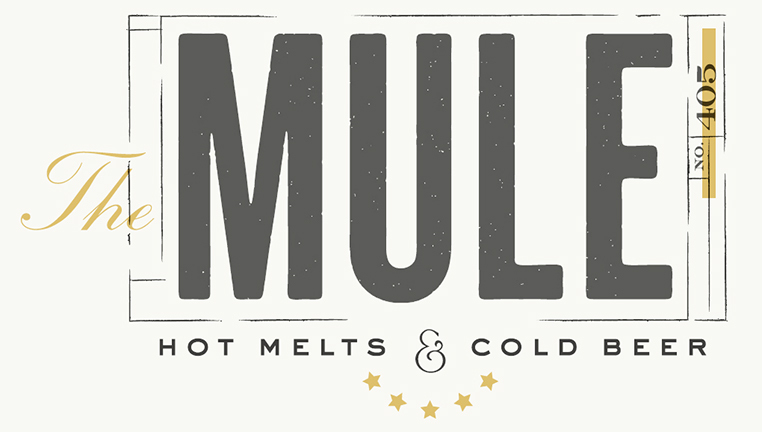 Located in Oklahoma City’s up-and-coming Plaza District at 1630 N Blackwelder is a unique restaurant called The Mule. It is unlike any restaurant I have ever been to — in a good way. From the outside, The Mule looks like an old apartment building or a run down bar. It looks pretty sketchy. The restaurant is very small and has a huge bar but only a few tables and booths available for families. The first time I went, the wait was an hour on a Friday night for a party of four, so we left and came back the next day around 11 a.m. I am so glad we did. The Mule only has appetizers, salads and sandwiches which seems disappointing at first, but I promise you will not feel that way after you try one of their delicious creations. Their appetizer menu includes fried cheese curds, and their “Classic,” which includes grilled cheese and their homemade tomato soup. Their sandwiches sound like flavor combinations that you would never put together, especially on a sandwich, but they end up tasting awesome. The “Macaroni Pony” includes chipotle pulled pork, mac and cheese and pickles on jalapeno cornbread. The “Cortez” has braised short ribs, peperoncino, spicy aioli, grilled jalapeno and caramelized onions on jalapeno cornbread. I got “Our Caprese,” which had sundried tomatoes, pesto, basil pesto, fresh tomatoes, fontina, parmesan and rosemary balsamic. Being a fan of caprese salad, which is tomatoes with fresh cheese, I absolutely adored this sandwich. I got beer battered french fries as my side. They weren’t the best I’ve ever had but were still very tasty. Their other sides include beer battered onion rings, a side salad, or soup. Their prices are relatively reasonable with the most expensive sandwich being $10. Each sandwich comes with fries or any of the other sides for a little bit extra.